Blockchain technology has huge potential to disrupt and radically transform the way a large number of traditional industries such as: Financial Services, Data management, Intellectual Property and Transportation operate. 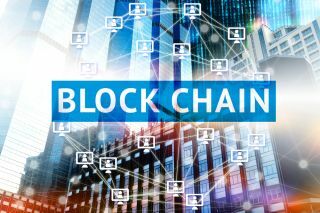 Blockchain technology has gained increasing awareness over the course of the last two years as more and more people chart the meteoric rise of cryptocurrencies such as Bitcoin and Ethereum. However when asked, few people would be able to differentiate between a digital currency, the blockchain technology that underpins it and the functions they represent. It’s still primarily viewed as an unregulated asset class that provides enormous financial gains for a tech geek superclass of IT experts that inhabit a parallel universe to the average person on the street. Such a generalisation is however clearly wrong, as it doesn’t do justice to the huge potential for blockchain technology to disrupt and radically transform the way a large number of traditional industries such as: Financial Services, Data management, Intellectual Property and Transportation operate. At Bitmedia.io we have for three years assisted a wide variety of blockchain companies advertise to relevant investor audiences. Our business model has been based on Bitcoin payments by companies looking to raise funds with international investors and reach audiences irrespective of borders and other traditional market barriers. It’s a business model that has served us well and could be expanded to a number of other sectors, particularly the area of e-commerce. No-one can deny the success of popular online retailers, and the way in which they have transformed how the high street operates, however their business models are still beset with bottlenecks in areas such as logistics/tracking, cross-border payments, middlemen and inventories. By creating an open source digital ledger, companies can radically overhaul their business operations and not just in the area of payments as most people would expect. Take for instance the area of shipping containers for physical goods, the systems (and paperwork/bureaucracy) associated with cross-border trade has remained almost the same for the last half century. From letters of credit to product quality documentation, shipping trade generates considerable volumes of documentation that has to be registered and confirmed often by telephone or a physical fax between countries which inevitably takes time, costs money and can lead to wastage with agricultural products. The open source blockchain could ensure the registration, confirmation and approval of goods containers could be completed in minutes ensuring faster, more secure and efficient international trade. This would be carried out over a distributed ledger between agreed parties who would record transactions in sequential blocks, creating encrypted data that can be shared between several parties through the supply chain, updating them instantly without the risk of fraud. The improved supply chain processes is just one area that blockchain could transform for online retailers, another potentially exciting prospect is the opening up of new markets particularly amongst the 2.5bn unbanked people in emerging markets. A recent report by McKinsey cited inclusion in the digital economy could boost GDP of all emerging economies by US$3.7 trillion by 2025. This will in large part be aided by increased mobile phone access, expected to reach 90 per cent by 2020 in EMs. Combined these factors will open up new markets to retailers who will be able to ship goods to people who can make orders and payments using their mobile phones free from traditional intermediaries such as banks, payment processing systems and FX traders. By using smart contracts, consumers could agree to terms and conditions and make instant payments when the goods have been received using a digital currency free from traditional financial middlemen and intermediaries. The very nature of blockchain’s open ledger ensures greater transparency between participants who can view different prices and costs in different markets and decide who to buy and sell from, empowering the consumer. It also cuts out the unseen verification processes and currency conversions that take place before a trade can be cleared. Confirmation and clearing of trades can take up to three working days and that doesn’t factor in the cost of foreign exchange rate fluctuations between two currencies, something that is by definition eliminated when making payments with digital currencies. Smart contracts fundamentally address the issue of trust between two parties who might not necessarily be based in the same country or even continent but want to engage with each other. Terms and conditions can be laid out and when goods have been exchanged and meet set standards then payments can be made in fiat or digital currencies. Through an open source distributed ledger, people from anywhere in the world can engage with each other and explore opportunities that weren’t possible even five years ago. Greater transparency and accountability for businesses in the way they manage their manage their costs, inventories and taxes can be delivered through the effective deployment of Blockchain technology. For the first time in history governments and authorities have the ability to monitor and view the trade volumes and receipts for individual companies and check if their returns match. The opacity of company accounts and suspect tax incentives can be pushed aside with the use of an open ledger that enables people to see exactly how the business has operated and expand horizons to markets that previously didn’t exist. The technology is still in its infancy and there’s considerable work to do to ensure a legitimate international framework is created to ensure blockchain technology is seamlessly incorporated into current retail systems and operating procedures. That said as a team, Bitmedia.io has operated as a successful advertising platform using Bitcoin, advising and aiding clients from a wide variety of sectors looking to promote their technology and ICOs with relevant audiences. Traditional means for currency exchange, money transfers, signing contracts, measuring performance goals have all been upended with the use of blockchain technology. Our pioneering business model works and provides an insight into a future where consumers, SMEs, retailers and intermediaries can interact in a more streamlined and customer focused manner that side lines many of the traditional service providers that have created too high a bar of entry and exclude too many. No-one can predict the future, however the beginnings of that future are here and consumers have the power to forge its direction.